In 2012 I got a brand new touring bicycle (a Co-Motion Pangea) and proceeded to spend the following four years riding that bike across 40+ different countries in Africa, Asia, Europe and North America. The bike survived extreme desert heat, freezing-cold winter weather, and a whole host of varied and difficult circumstances. After 4+ years of heavy use and abuse, the bike was starting to look pretty beat up. The paint was chipping, there were rub marks where either my body or other parts of the bike had been bumping up against the frame repeatedly over the years, and the bike in general was getting pretty worn down. But I love my Co-Motion Pangea… and I wanted to use it on my upcoming bike trip in Portugal, Spain, France, Andorra and Norway. So, rather than buy a whole new bike, I decided to send the frame of my trusty Pangea back to Co-Motion Cycles and have them re-paint it for me. Watch the video above and you’ll see the old while Co-Motion Pangea transformed into a nearly new-looking black bike of the very same type. 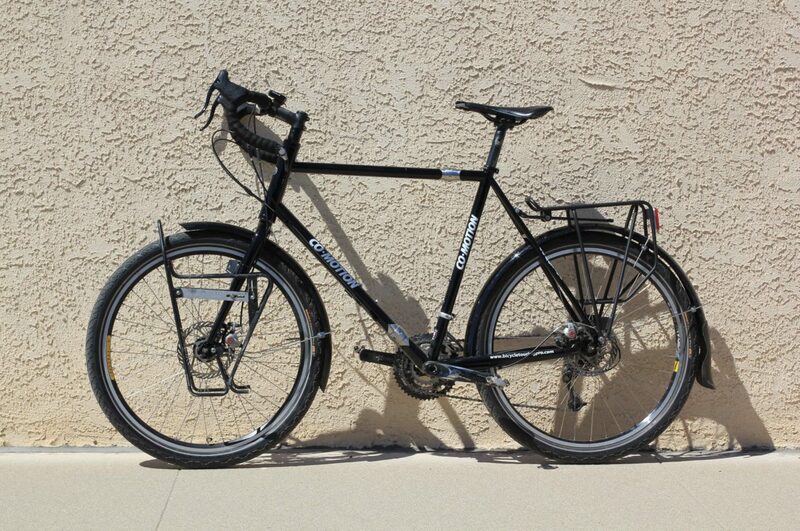 My review of the Co-Motion Pangea touring bicycle. Why I chose the Co-Motion Pangea. The Co-Motion Co-Pilot Travel Case. My Interview with the owner of Co-Motion Cycles. 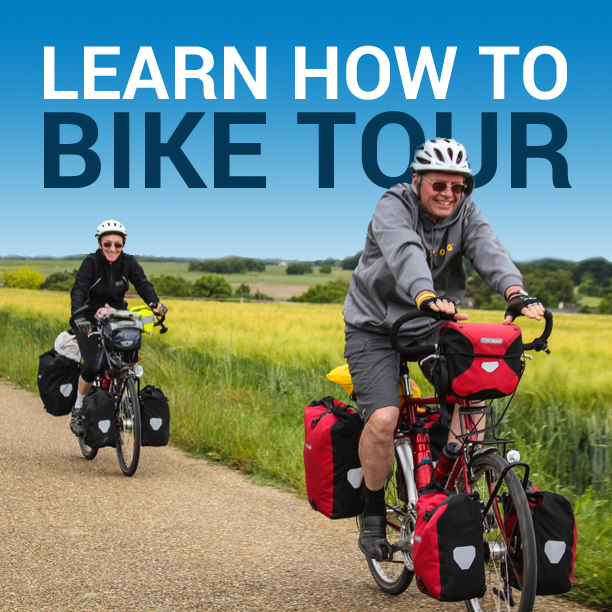 This entry was posted in Bicycle Touring Pro Articles, Darren Alff's Bike Tour Blog, Featured Articles, Main Articles, Videos and tagged bicycle frame, bicycle touring, co-motion, co-motion cycles, co-motion pangea, new bicycle, new bike, new touring bicycle, repaint bicycle, touring bicycle. glad you overhauled the co motion…., it would be sad in a dusty closet…..